Zucchini became popular in Japan in 1980s. Normally used in Italian dishes but tastes good in miso soup too. 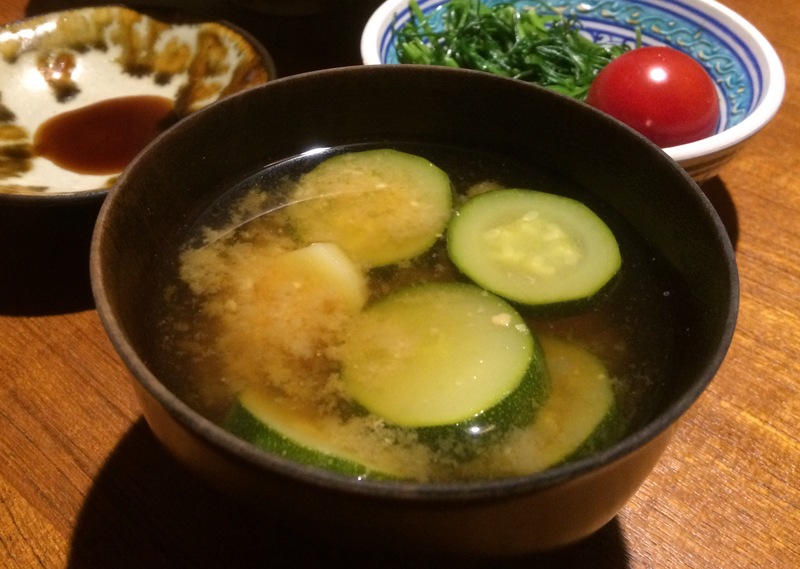 Boil sliced zucchini & potato in broth, then add miso paste before serving.